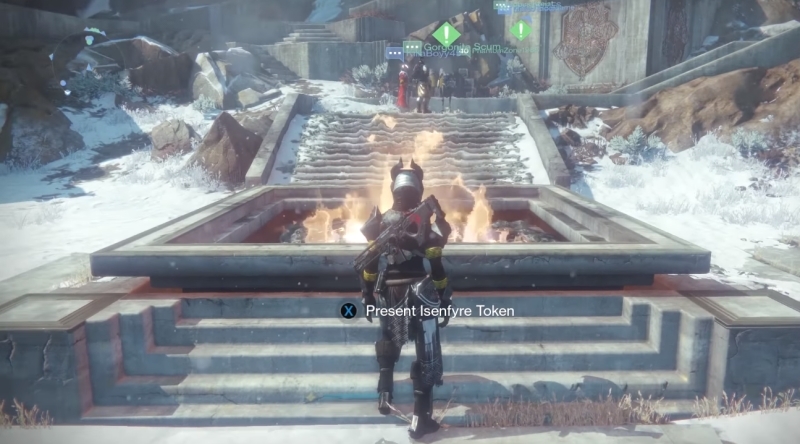 The latest expansion pack Destiny Rise of Iron comes with a lot of mysterious and exotic things and Isenfyre Token is one of those mysterious loot items. You will get the Isenfyre Token, a consumable item, when you finish the new Wrath of The Machine raid but there will be no information on how use this item. 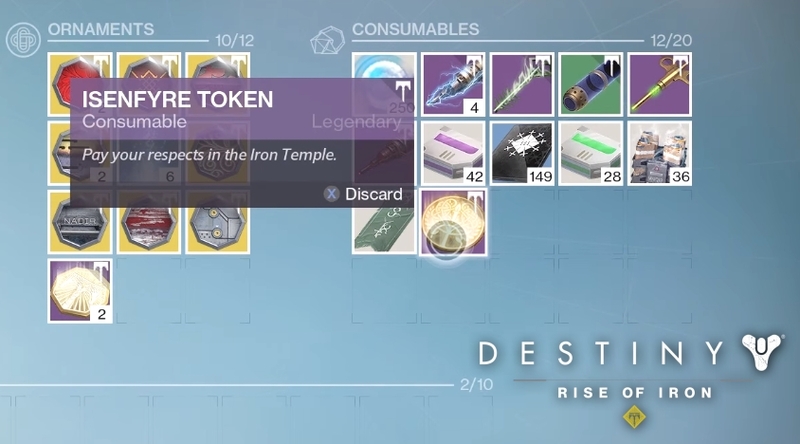 Isenfyre Token’s description reads as “Pay your respect in the Iron Temple”. Now with this description we know only this much that this item is use to do something in Iron Temple but what it actually do the game will not tell you. So, today in How to Use Isenfyre Token in Destiny Rise of Iron guide we will show you how you can use the Isenfyre Token in the latest expansion pack Destiny Rise of Iron. When you complete the Wrath of The Machine Raid then you will get Isenfyre Token as a consumable item. In order to use this you have to be at a specific place and then it will be automatically consumed. Unfortunately, it won’t reward you with any fancy item. Go to a social space at the Felwinter Peak. Approach the big fire pit in front of the Iron Temple. Press on screen button prompt to use the Isenfyre Token. When you interact with the bonfire, you’ll be launched in the air. Reach the tower which is above the gate and you can find a Dormant Siva Cluster there. It’ll consume the Isenfyre token and then activate the fire pit for every player in that instance. After that you can have access to the rest of the Felwinter Peak area that you have in the 1st mission called King of The Mountain. You can easily explore the area which is pretty awesome in itself. We haven’t find anything particularly different. But there may be a secret we haven’t found yet. After you done exploring the area, head back to the door, and open it to go back to the social space. Opening the door will also open it for everyone else. But Remember one thing that once you used the token you can only visit this area once and next time when you come back the door will not open and the bonfire will not throw you into the air.